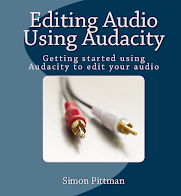 Developer of audio, membership and to do list software! 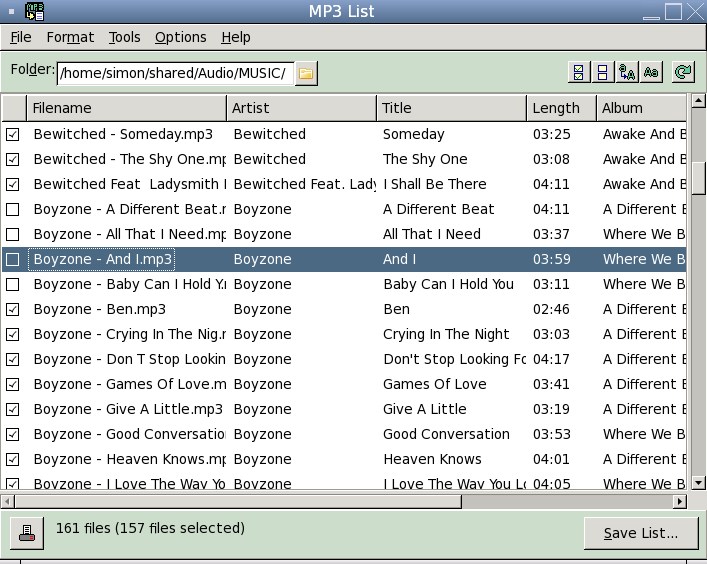 This version of MP3 List is no longer available - click here for more details on our latest release of MP3 List! 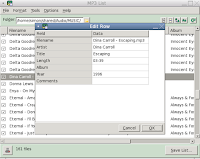 MP3 List helps you save your audio file information to a text or CSV file. In addition, the software includes options for printing your info, and managing your files. 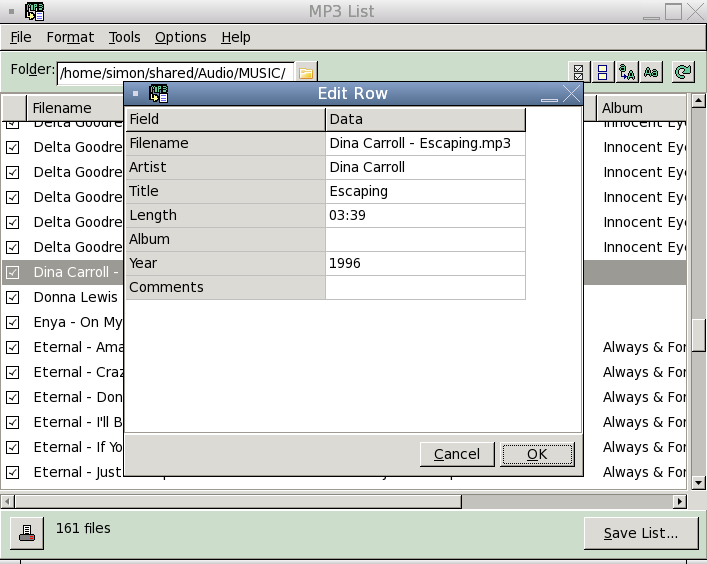 MP3 List can save you time, and you can use the created lists to import data into databases, e-mail your music collection to friends/colleagues, auditing your collection, manage your files, plus numerous other situations! 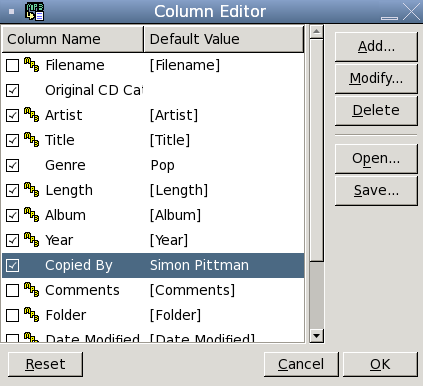 Column editor to change the layout of your saved spreadsheet. List files in folders and sub-folders. 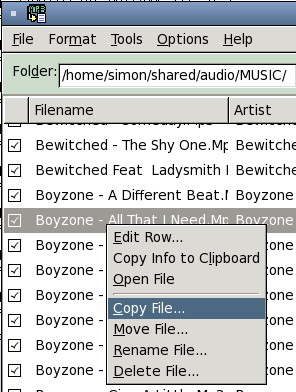 Select which files in a folder to list. List files modified within a range of dates. 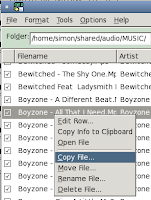 Select the folder containing the files then click Save List to create your list! Currently available for Windows and Linux. Version 4.2 includes support for ID3v2 and WMA track information, optional columns for Bit Rate, File Size and File Type and various other improvements. More details can be found in the product documentation. Includes 12 months product support/updates, directly from the developer. A free trial is available to download. No tickets, no "copy and paste" responses - support direct from the developer! Launch your applications - without messing around! Copyright (C) 2012-2019 Simon Pittman (sole trader). Awesome Inc. theme. Powered by Blogger.